Beware the termites, they work from within! Rats, snakes, cockroaches, sharks and many more… it seems the animal and insect metaphors in relation to politicians are on the rise. GPS (Gabungan Parti Sarawak) is made up of a coalition of four Sarawakian-based parties, Parti Pesaka Bumiputera Bersatu (PBB), the Sarawak United People’s Party (SUPP), Parti Rakyat Sarawak (PRS) and the Progressive Democratic Party (PDP). So why ‘termites’? What special characteristics does this insect have that is applicable to a certain brand of politicians? Well, pestworld.org mentions that termites are known as ‘silent destroyers’ because of their ability to chew through wood, flooring etc. undetected from within. If you consider that termite colonies tend to eat continuously for 24 hours a day and seven days a week they are a formidable foe. No wonder pest control business seems to be a growing industry and terminators are working overtime. Therefore, in reference to ‘political termites’, it seems the references are to those who eat out the inner structures of political parties or political alliances. In other words, they weaken the political structures leading to its eventual collapse. Since a house is representative of an organisation, the metaphor of ‘termites’ involves forces eating away the very foundation of the organisation. This can be said to be a concept whereby the termite infestation involves a process whereby tiny pests (certain politicians), symbolic of unprincipled politics, gradually accumulate from within into swarms, and can eventually cause us unimaginable mayhem. He categorically made it clear that all should be loyal to Sarawak rather than to an individual. Leaders who emphasise the nation or organisation ahead of an individual have a good leadership skills approach and this is usually in short supply nowadays. I am sure we all agree that political leaders tend to build loyalty around themselves, to the detriment of the party overall. The impact of the Chief Minister’s words has been effective. His strong support of GPS coalition partners has conveyed two important messages. Firstly, to the other three component parties — SUPP, PRS and PDP — that they are important and he respects their status within the coalition. This has had an immediate effect of boosting their members’ commitment to the coalition and that GPS is a coalition worth fighting for. Secondly, he sent a strong message that he will not tolerate anyone from within the coalition and from outside it from messing about and weakening GPS for their own benefit and hidden agendas. Many would agree that his speech in Marudi has had the effect of immediately rallying the four parties together. PRS president Tan Sri James Jemut Masing has basically called for a ‘clean up’ of the cabinet to rid it of the ‘termites’. 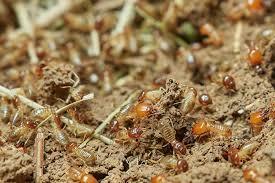 PDP secretary general Datuk Nelson Balang Rining has voiced out that the termites need to be exterminated in GPS. He also likened them to cancer cells that need to be removed immediately. So, all four component parties have come out with strongly worded statements condemning the practice of ‘termite politics’. So here we now have termites who fortunately have been detected early by the Chief Minister. They were about to devour political parties and an important political alliance. How about ‘termites’ who might eat Sarawak from within? How about other ‘termites’ who do the bidding of non-Sarawak based political parties. If the various termite colonies work together they might cause irreversible harm to Sarawak. Can you imagine if the Petroleum Development Act 1974 in one form or another was ratified by a ‘termite’-led state government? What if the Territorial Sea Act 2011 was ratified in the Sarawak Legislative Assembly. This would legally take away our rights to the continental shelf. What if Bintulu, where our LNG hub is based, is given away and declared a Federal Territory by these ‘termites’? You might even see the repeal of the Oil Mining Ordinance 1958 with regard to oil mining on and in its Continental Shelf by a termite-led Sarawak Legislative Assembly. What about all the special interests and safeguards for Sarawak, such as immigration, land code, natural resources and right to sales tax? I don’t think I need to further paint a disastrous and dark scenario of Sarawak laid in ruins after a termite attack. So how do we get rid of these pests? In the termite world, there are numerous ways to destroy these pests ranging from some simple home-type remedies to the complex professional intervention. The first effort in relation to GPS has already been initiated by our ‘Terminator’. The Chief Minister, it seems, has identified these pests or at least have a scent of them. Matters can be left in his good hands, such as a cabinet reshuffle. 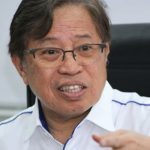 In terms of Sarawak, there is only one way, and that is if all the electorate, meaning you as the voters, decide logically not to support the ‘termites’. This is easily done by ensuring that only Sarawak First parties are voted into office again. An additional, the analogy of termites can also be applied to anyone in Sarawak who tries to undermine the peace and stability here. Efforts by ‘termites’ to use race and religion to exclude others from participating in nation building for their own exclusive benefit should also be frowned upon and actively deterred. So Sarawakians, beware and do not be swayed by promises made by any ‘termite’. Stay the course and together with the Sarawak First approach, Sarawakians can ensure the survival of Sarawak and the extermination of the menacing ‘termites’. But always keep an eye out these pests as they come in many forms and shapes. 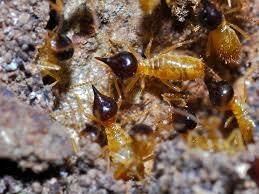 For the record, there are approximately 2,000 species of termites in the insect world. They can pop up anywhere anytime. Beware the termites, they work from within! 0 out of 5 based on 0 ratings. 0 user reviews.